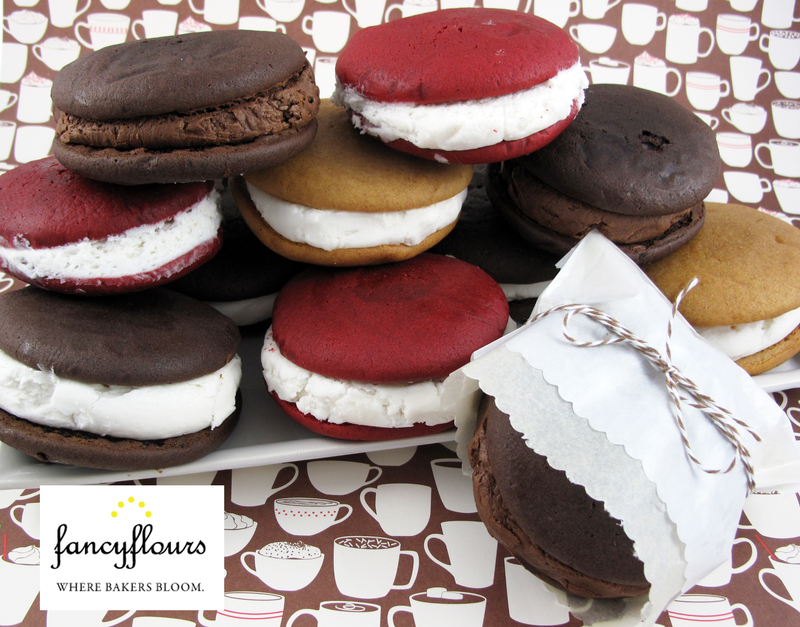 We couldn’t be more excited to share these scrumptious little Whoopie Pies with you! Aren’t they cute? We have three new mixes in stock: chocolate, ginger spice and red velvet – perfect for any celebration or just because. These nostalgic New England favorites are boxed up in a handy-dandy mix made with the finest ingredients available including Nielsen-Massey vanilla and Callebaut cocoa. One bite and you’ll hollar whoopie! A filling recipe is included, but we love the idea of mixing it up and trying flavored fillings – pumpkin, lemon, berry – the sky is the limit! Of course, you need fancy packaging – we like using glassine envelopes (just trim the edge with craft scissors for an extra special touch – see photo above) and tying them with retro striped twine from our new line, Divine Twine. Brown Sugar is featured above – but nine other delightful colors are available. Or, have you seen our new and perfectly spring-y berry baskets? Check them out below. These 1 pint baskets are made from wood and feature a contrasting trim in an array of colors. A fresh way to present a little gift for a wedding, baby shower favor, or to welcome your guests to an event – and for filling up with Whoopie Pies! 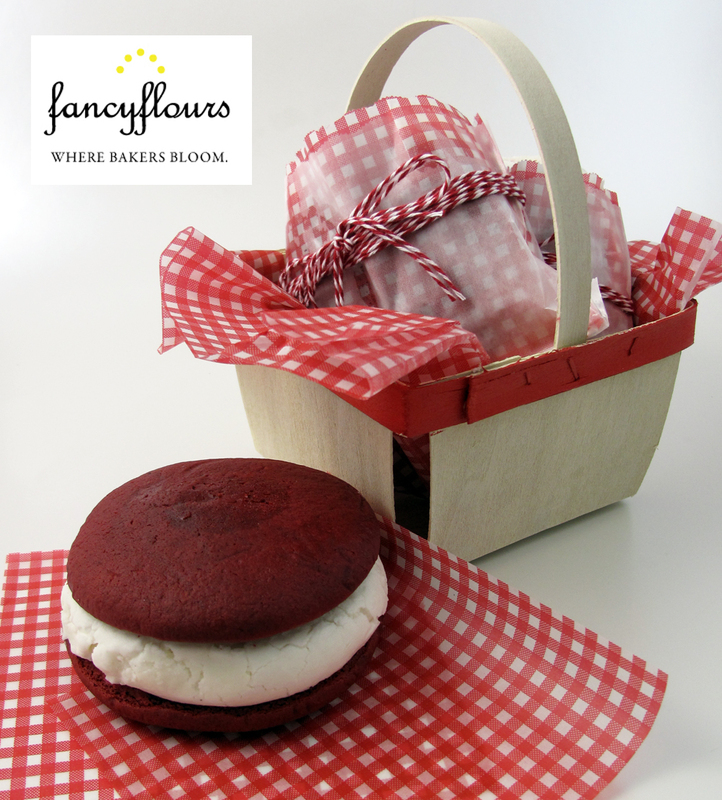 Red Velvet Whoopie Pies featured above with Red Wooden Berry Basket with handle and Red and White Check Wax Paper. 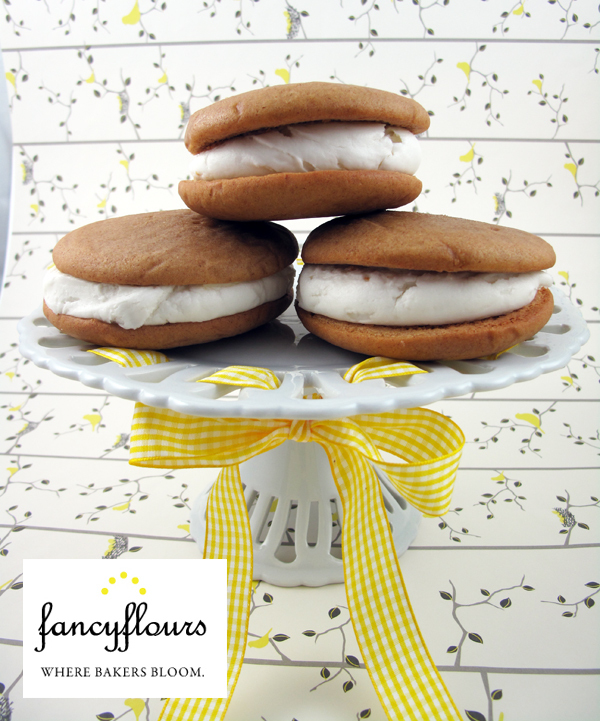 Ginger Spice Whoopie Pies look lovely piled high on a cake stand.